Today’s recipe is for all the Pumpkin lovers out there! What do you think of when you hear the word fall? I think of a few things but the one thing that comes to my mind right away is Pumpkin. 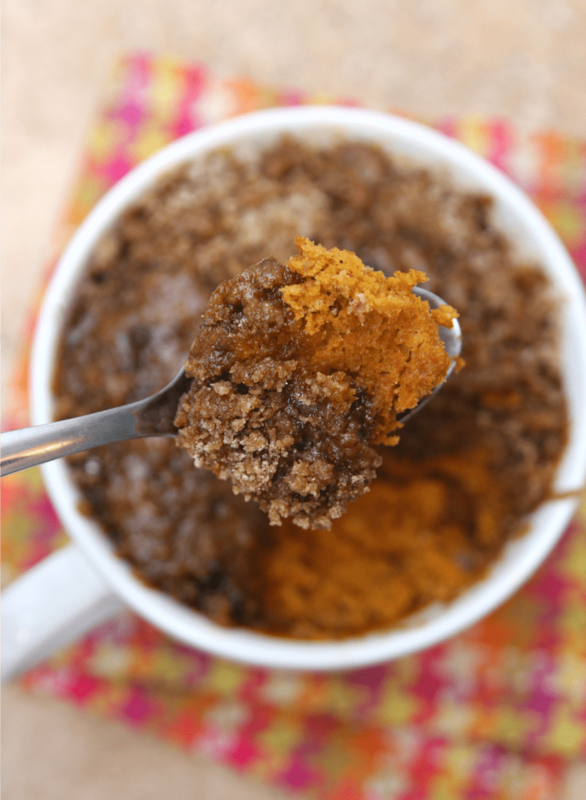 And let me tell you – this Pumpkin Coffee Cake in a Mug is the perfect fall treat. With only a few ingredients, you can easily enjoy a warm mug of Pumpkin Coffee Cake for breakfast, dessert – even dinner. That’s the best part about mug cakes. You can make them quickly whenever your craving something sweet. I created this recipe for my hubby who loves all things pumpkin and I’m excited to share it with you. I love when a recipe turns out even better than I thought it would. 1. Mix spice cake mix, pumpkin puree, water and pumpkin pie spice in mug. 2. 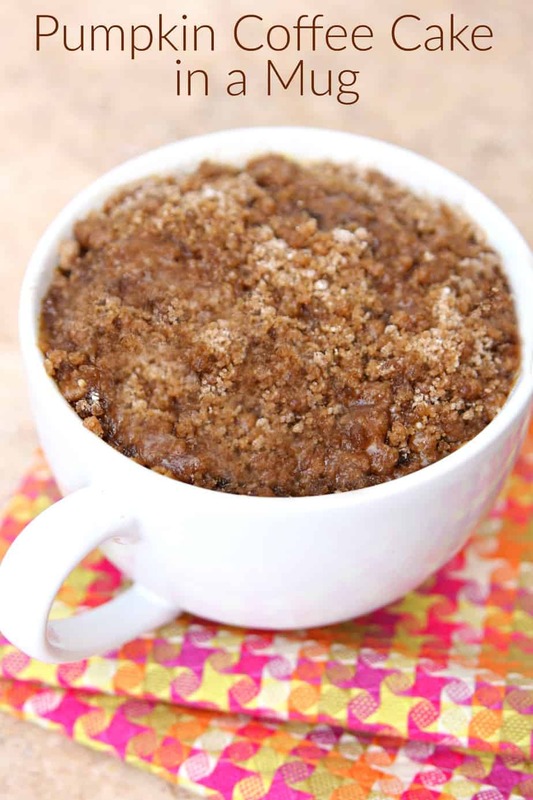 In separate bowl, combine streusel topping ingredients using a fork until it looks like sand. Sprinkle on top of cake batter in mug. 3. Microwave for 60-90 seconds depending on your microwave. 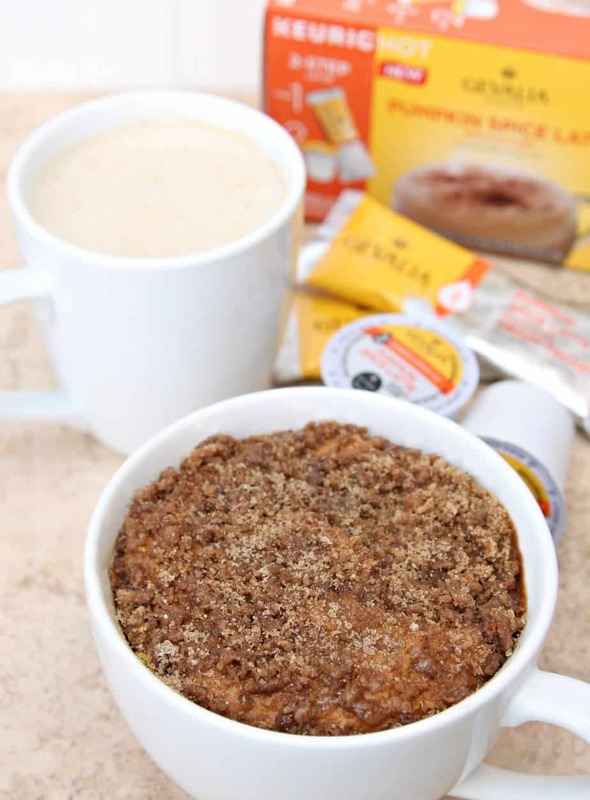 And guess what tastes great with this Pumpkin Coffee Cake in a Mug? A Pumpkin Spice Latte! 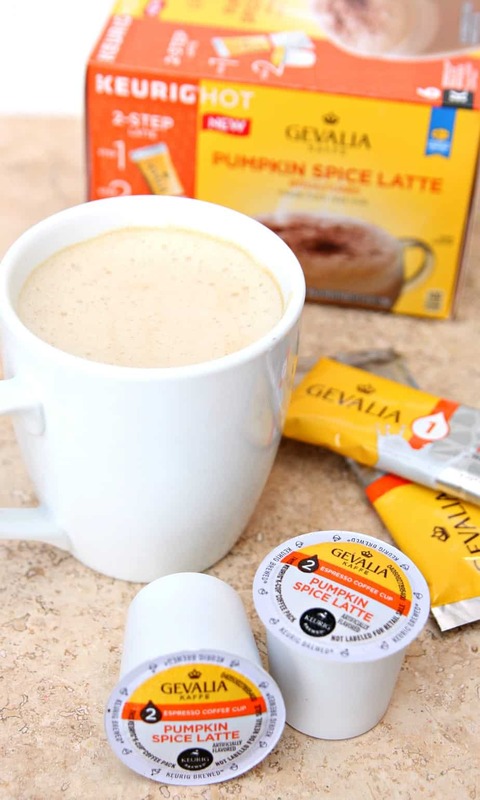 Now you can make your own Pumpkin Spice Lattes at home with Gevalia Kaffe. No need to spend $5 on a PSL. Gevalia makes it easy to bring your love of foam home with their Pumpkin Spice Latte. Made with real milk, it combines the flavor of pumpkin spice latte froth with Espresso coffee. 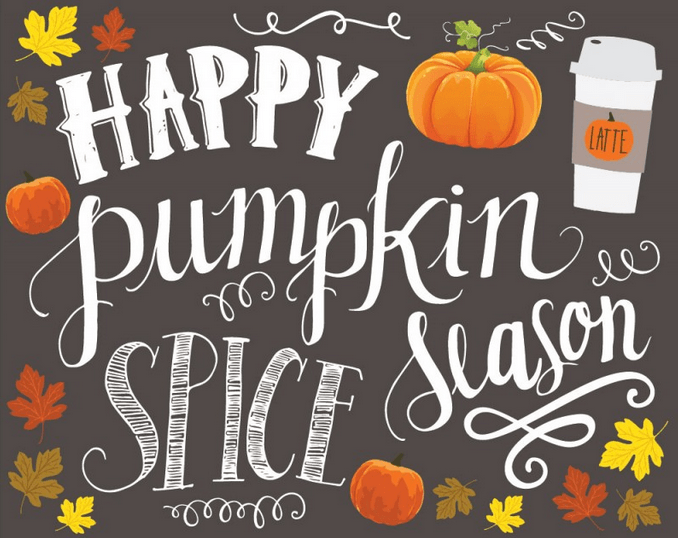 So, now it’s time to spoil yourself with a hot Pumpkin Spice Latte and and Pumpkin Coffee Cake in a Mug. The perfect combination on a cool, Autumn day. I also tried Gevalia Bold Majestic Roast. I love bold coffee so this is my new favorite. As part of the Heritage collection, Gevalia Kaffe Bold Majestic blend is a dark, smooth roast, with earthy cocoa flavors. Made with 100% Arabica beans, this bold blend will satisfy every coffee-loving taste bud. Follow Gevalia on Facebook and Twitter for new products, coupons, and more! 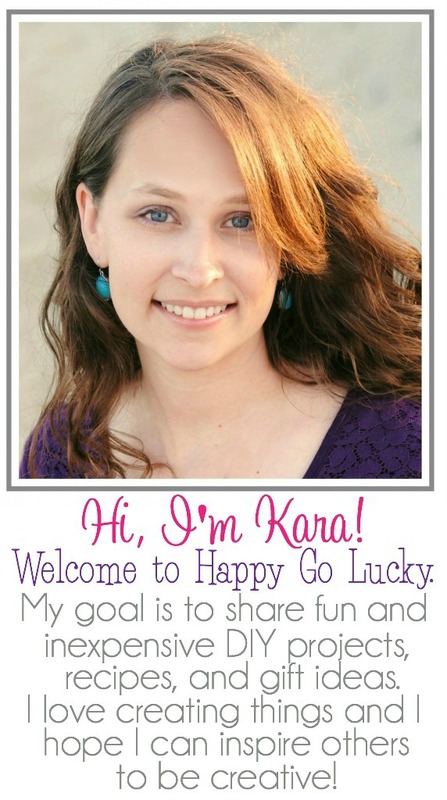 And here’s a free printable I found over at Jumping Jax Designs.